Organisations face an array of challenges when they venture into the world of cloud-native applications and microservices. Many struggle with which container technologies to choose, how to best leverage them, and their implications for the business. Then there’s the question of what cloud to run it on—and if you even need to make that decision at the outset. Finally, what skills do your developers and operations teams need to succeed in this new world? Join us for this webinar as we demystify the complexities associated with effectively leveraging Cloud Foundry, Kubernetes, and Knative, as well as the platform required to enable you to run and manage containers at scale. Recent releases of RabbitMQ have made the most popular open-source message broker even more rock solid. The team has made it easier to deploy and easier to operate from Day 2 on. As a de facto standard for message-based architectures, this is great news for teams building microservices and other distributed applications. But let’s face it: not everyone is running the latest version and taking advantage of these new stability and operational features. Now the next major version (3.8) is shipping and it has some breakthrough features for reliability and scaling. Are you ready? The emergence of cloud-native technologies—and immutable infrastructures more specifically—is changing the security risk landscape and offering a new perspective on security management. In this talk, we’ll explore the benefits of software architectures based on immutable infrastructures and how mature practices can help reduce the security risk—without spending on additional layers of security solutions. Specifically, we’ve seen how teams focusing on delivering the “3 Rs” of cloud-native security (repairing, rebuilding, and rotating) in their platform are shifting the needle of vulnerability management. Modern software’s ability for zero-downtime patching, periodical rebuilding, and short-lived secrets provide a massive reduction in security risks, allowing security and resilience practitioners to focus on added-value activities. As security is now operated throughout the IT organisation rather than in silos, we’ll extend our discussion to see how outcome-driven metrics can help create alignment across teams and be a measure for security management in a collaborative culture environment. The cliché we all recite is that technology isn't the problem, culture is. Put another way: if the hardware and software are fine and fresh, it must be the meatware that smells. Come hear several de-funking recipes from the world’s largest companies whose meat now smells proper. Most large organisations struggle to deliver consistent, well-designed software to their customers. The usual schedule and budget delays persist and the resulting software is often lackluster at best. There are all sorts of tools and patterns like DevOps, lean product, and cloud-native that can make software better, but most organisations struggle to change the people side of the software stack. All of this is based on case studies and interviews with the world’s largest organisations over the past five years, with each point grounded in real-world examples and experience. References and examples shared during this session are based on my book Monolithic Transformation (O'Reilly, Feb 2019). As the adoption of Kubernetes expands rapidly, organisations must get up to speed with a powerful and flexible but complex container orchestration system. Understanding how the configuration of Kubernetes clusters and the configuration of your workloads interact is important when setting up your platform for success. This webinar will cover what you need to consider to get your different types of workloads up and running. Organisations adopt a multi-cloud approach for many reasons—regulatory interest, price arbitrage, flexibility, choice, data sovereignty, varying business requirements—the list goes on. However, from our conversations with several CIOs, we’ve learned that avoiding cloud lock-in is a primary driver behind a multi-cloud strategy. So what is cloud lock-in and what can you do to avoid being locked in? Kubernetes has exploded in popularity among developers. But as operations teams prepare to support Kubernetes in production, they have more considerations—namely, how to operate a stable platform while maintaining security and compliance. How Kubernetes is configured and deployed has a marked impact on these attributes. ● How to isolate tenants in your Kubernetes environment. ● How to make upgrading Kubernetes clusters boring. ● What you should—and shouldn’t—let your developers do. ● What you need around your Kubernetes clusters to keep them safe. ● Accelerate developer productivity with new capabilities that give you more control over your applications. ● Improve operator efficiency and simplify administration of applications at scale. ● Reduce risk by keeping your your platform in a secure, healthy state. Register now and be the first to get your eyes on PCF 2.5! One of the trickiest problems with microservices is dealing with data as it becomes spread across many different bounded contexts. An event architecture and event-streaming platform like Kafka provide a respite to this problem. Event-first thinking has a plethora of other advantages too, pulling in concepts from event sourcing, stream processing, and domain-driven design. Serverless computing has become a hot topic in developer communities. The use of ephemeral containers eliminates the need for always-on infrastructure. But the real payoff for serverless is greater code simplicity and developer efficiency. Sounds great! Except the open-source serverless framework space is crowded and complex. Each unique offering approaches functions differently, with varying methods for triggering, scaling, and event formatting. How is that efficient? One thing that most everybody can agree on is to build on top of Kubernetes. With that as the only common ground though, there is still too much fragmentation for developers to wade through when deciding on the right open source serverless solution. Can your organization support developer self-service across 11,000 workloads with certainty that 100% of the workloads are security-approved across the entire stack? The answer is yes with a cloud-native approach. Cloud-native platforms not only make it easier to support the kind of cultural shift necessary for continuously shipping software, they make it easier to practice good security and reduce the available attack surface. But an attack on the application itself can undermine all platform controls. This is the second webinar in a series presented by Pivotal and Contrast Security on cloud-native security best practices. The previous webinar in this series is available in the attachment section. Microservices offer advantages and disadvantages for security. Microservices can be developed, updated, and scaled separately. However, with more and more microservices to manage, there are numerous doors that intruders can access within an application. While their isolated and standalone structure within applications makes them easier to defend, microservices bring with them their own additional security challenges. In this talk, we'll walk through a set of Spring-coordinated microservices that are insecure and will integrate them with an OAuth 2.0 Authorization Server in order to make them secure. 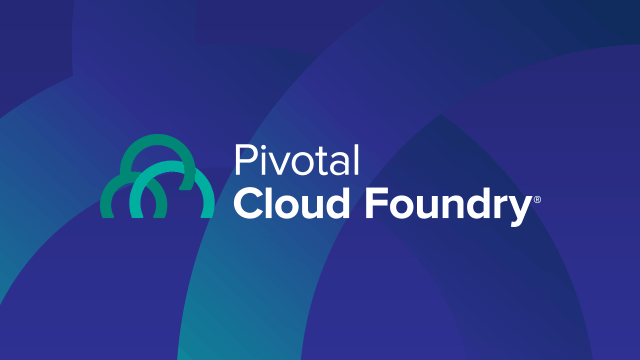 Then we’ll look at the challenges with single sign-on and how Pivotal Cloud Foundry can help to overcome them. Visually showing customers how Pivotal products work. Demoing new features, functionality, and product updates.